I Love to Organize is a full- service, Professional home and office organizing company, committed to provide organizing consultation or needs assessment. We take pride in having a large number of specialties. Our services include Decluttering, paper management, closet organizing, storage solutions, junk removal and beyond. Founded by Janet Webb, the company has made its presence felt as one of the fastest growing organizing service provider and a successful name in the organizing industry. We boast of having a premier team of full-service professional organizers, providing hands-on organizing services. With long years of experience in this domain, Janet maintains the highest standard in customer satisfaction and strives hard in helping individuals create better living spaces. Janet Webb is passionate about helping people in simplifying and enriching their lives. Professional Home Organization and Design - In-Home Organization and Design - Entire Home Set-Up - Estate Services - Hoarding Services - Space Planning - Travel Services (for clients with multiple properties or out of town clients) We work with designers on a regular basis; some clients have interior designers upon our hire, others choose to use our services instead of or along with their designers. We also have a handyman for our San Francisco services that are smaller scale (not requiring a contractor and architect). We work regularly with the Container Store and California Closets. Please visit our website for a more detailed list of services and information. Photos shown online are limited but more are available upon request. I've been in the "shelter" industry my entire adult life. From post and beam construction, remodeling, carpentry, furniture building, design school, interior design, and now organizational cabinetry I truly feel that I am in a position to transform the way people engage with their built environment on a very personal level. After all, what's more personal than getting dressed in the morning. I love that I get to meet new people every day, hear their stories, and figure out solutions unique to their habits and personal space. To me the design process is the most important part but of equal importance is the project management component. This is where my years of experience in the construction field come into play. It's one thing to come up with a design that looks pretty. It's quite another to guide that design down a road of engineering, manufacturing, accessory acquisition, and all the way through installation. I'm not satisfied unless you love your closet unconditionally ...as well as the process that gets us there. As a professional organizer, I founded At Your Service in 2008 to help people in Silicon Valley organize their lives. I have helped clients just like you to optimize their living & work spaces. You’ll be amazed at how quickly I can turn a disaster into a triumph! And once I am done, you’ll find that maintaining an organized home is much easier than it was before, saving you time and frustration. Welcome to the Ultra Organized Home ! 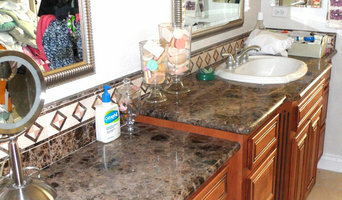 We specialize in creating organized, stress-free environments in your home. Caring, Non Judgmental and always Gentle . We work with you to create routines and systems that are easy to maintain and use , fitted to your lifestyle . Seymour's Fashions 211 Sutter Street Suite 701 San Francisco CA 94108 USA Tel: 1-415-421-6103 Fax: 1-415-421-0621 seymoursfashions@aol.com <a rel="nofollow" target="_blank" href="http://www.seymoursfashions.com/">http://www.seymoursfashions.com/</a> <a rel="nofollow" target="_blank" href="https://www.facebook.com/seymoursfashions/">https://www.facebook.com/seymoursfashions/</a> A masterpiece of your very own Our expert knowledge of current trends and our vast selection of fabrics keep our customers coming back to us again and again. "WE CRAFT LUXURY FABRICS BESPOKE SUITS . SHIRTS . TOP COATS . DRESSES . FORMAL WEAR"
ECOlunchbox was born of the idea that change can begin at lunchtime. I wanted to make a change in how I packed my family’s lunches – to cut out the plastic and do the right thing for our health as well as Mother Earth. It seemed like a pretty simple concept. So I set out to design a plastic-free line of bentos, bags and food to-go accessories that are healthy for people & planet and sell it to the world to make change lunch by lunch! Since founding ECOlunchbox as a triple-bottom-line social enterprise in 2009, the business has scaled beyond my initial vision. We've sold more than 225,000 ECOlunchboxes so far and each year through the use of our products the ECOlunchbox community is averting tens of millions of pieces of trash (mostly plastic) from use and disposal. I handle everything from closet organization to decluttering of entire households at level 4 hoarding which is pretty extreme. If you go to my website and select option one you'll pull up a brochure listing experience and typical tasks accomplished. I'm exceptionally hands on and will handle everything from recycling, moving into or out of storage units, sensitive donations including cars, finding jewelry, cash, weapons and key papers, hosting garage sales and much much more. You'll end up with what you most treasure and value while allowing others to benefit from your generosity of items not being used. It's a win-win situation. I work with individuals, stagers, realtors, senior home administrators, lawyers and anyone needing to declutter or facing a major transition. 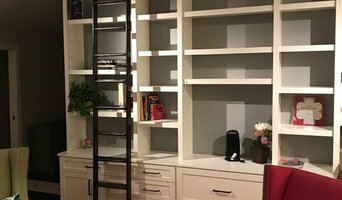 The Closet Man operating from Napa Valley custom-designs the most efficient and effective use of space for your bedroom closets, linen closets, pantry or garage storage. Having organized closet storage space not only adds value to your home, but to your lifestyle. Bringing order to chaos since 2007. We are here to help you regain the simplicity in life that organization can bring. 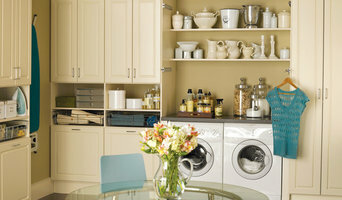 From closets to offices, kids rooms to garages, if it's disorganized, we can organize it. The mission of EMPOWER! Professional Organizing is to help you get organized in your small business/non-profit, home office, or residence, and to establish easy-to-follow processes for greater productivity to increase order and structure in everyday tasks and typical spaces. Jeannie Vandeweg has been organizing and creating beautiful spaces as far back as she can remember – maybe even before then. “I probably had a system in place for the toys in my crib!” she says. Today, she uses that natural passion for order and beauty to help others. After a 10-year career in office administration, she began her own company, All Squared Away Organizing. She creatively clears, sorts, arranges, and simplifies her clients' homes – and she does it all with energetic enthusiasm, grace, and humor. Not to mention, an eye for design and a knack for keeping under budget.